How many types of knitting are there? Have you been wondering how many types of knitting there are? Click here to find out! So you’ve decided to start knitting. Congratulations! I started knitting almost 20 years ago by watching a video and plowed along through lots of frustration, trial, and error. 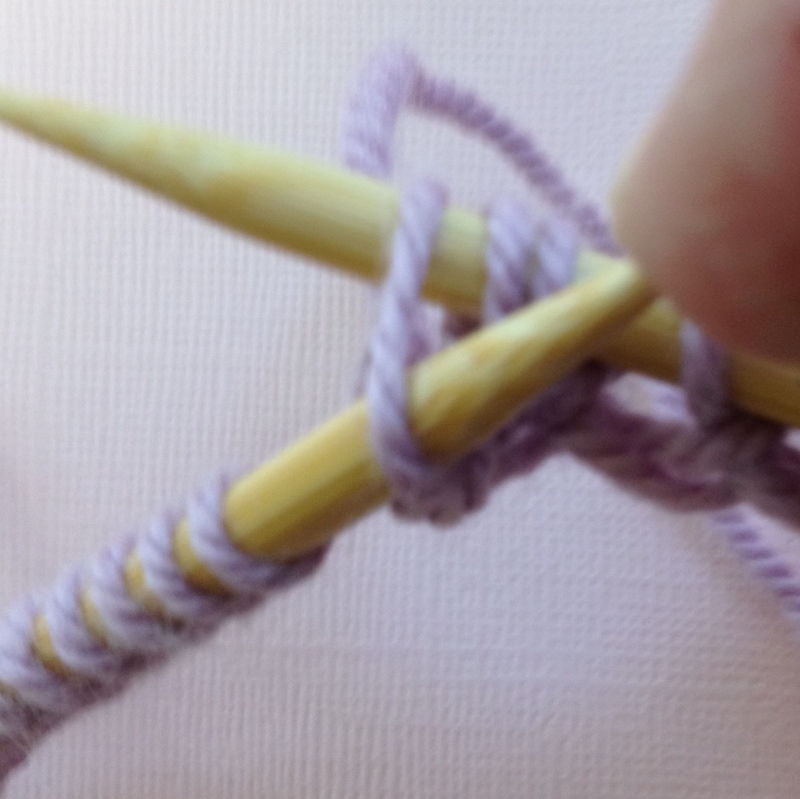 Here are seven things I wish someone had told me when I started knitting. 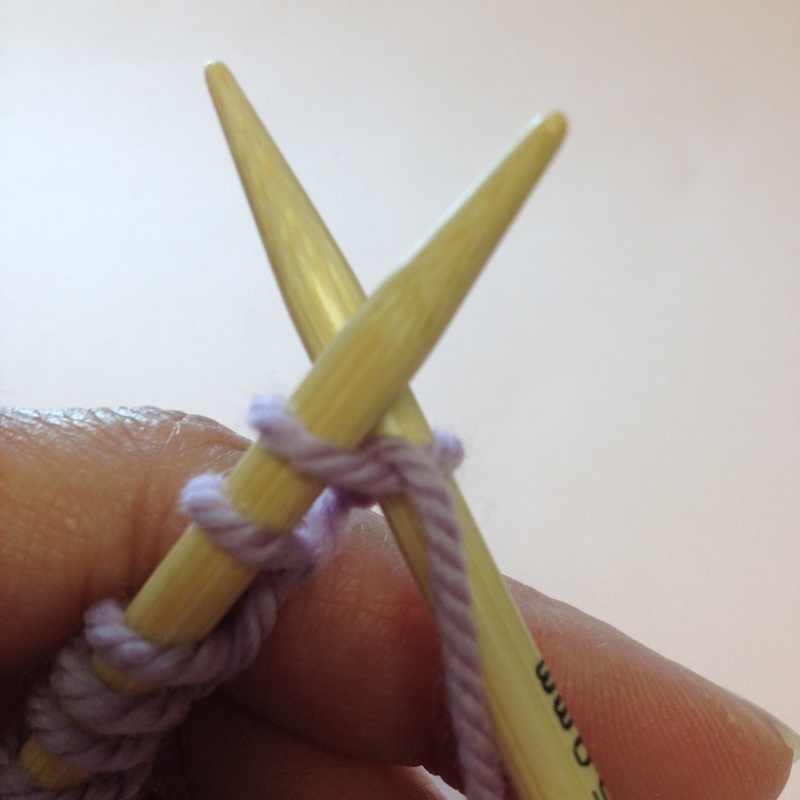 Learn how to cast on knitting. 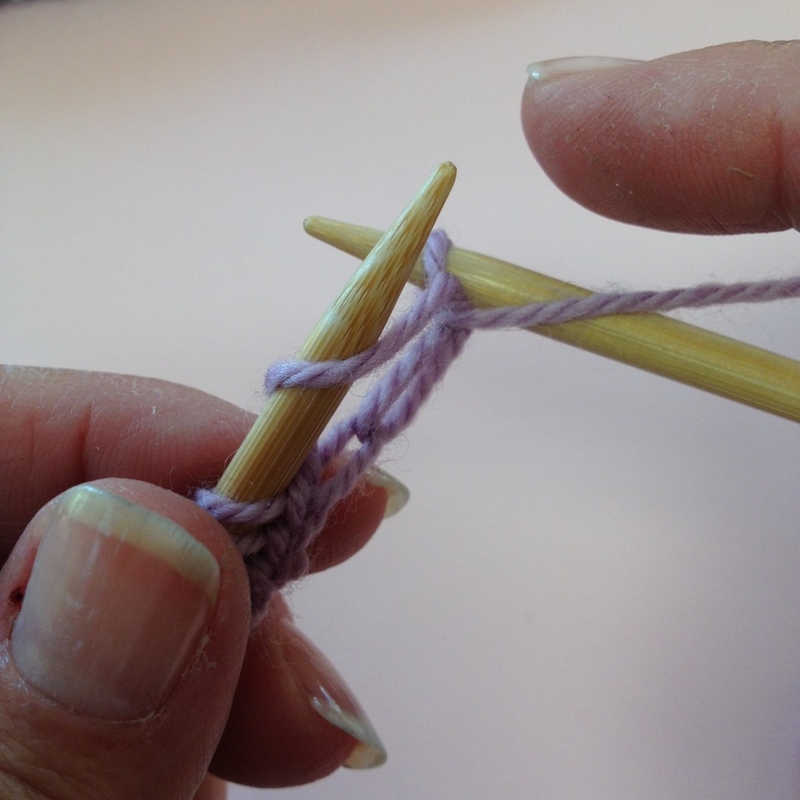 Casting on is the first step in knitting and you'll be putting the stitches on the needle. 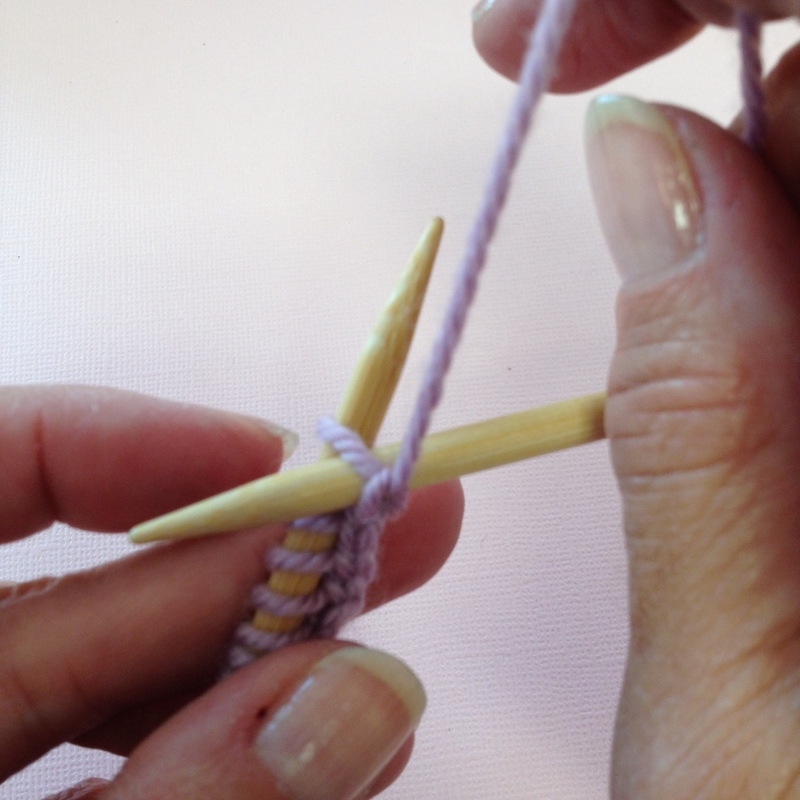 This is a good cast on method to use if you are just learning to knit and want to get going as quickly as possible. This basic cast-on is also known as the thumb cast on, loop cast on, or backward loop cast on. Step 1: Create a slipknot and place it on the left hand needle leaving a 4 to 5" tail to weave in later. 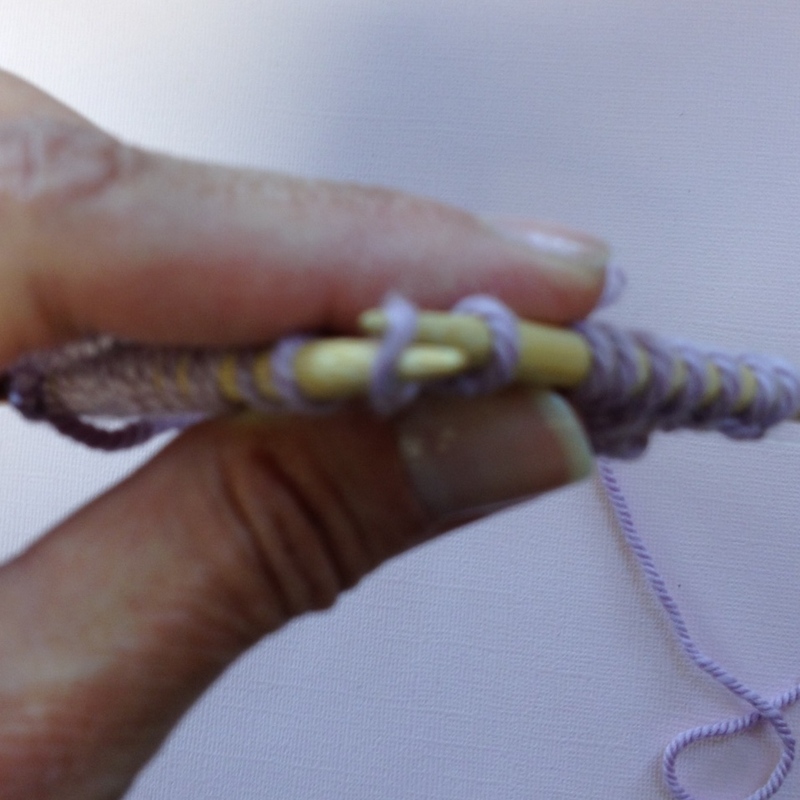 Step 2: Loop the yarn over the middle and index finger of your right hand from back to front (yarn comes up behind your middle finger and over your index finger), and grip the tail lightly with your thumb. 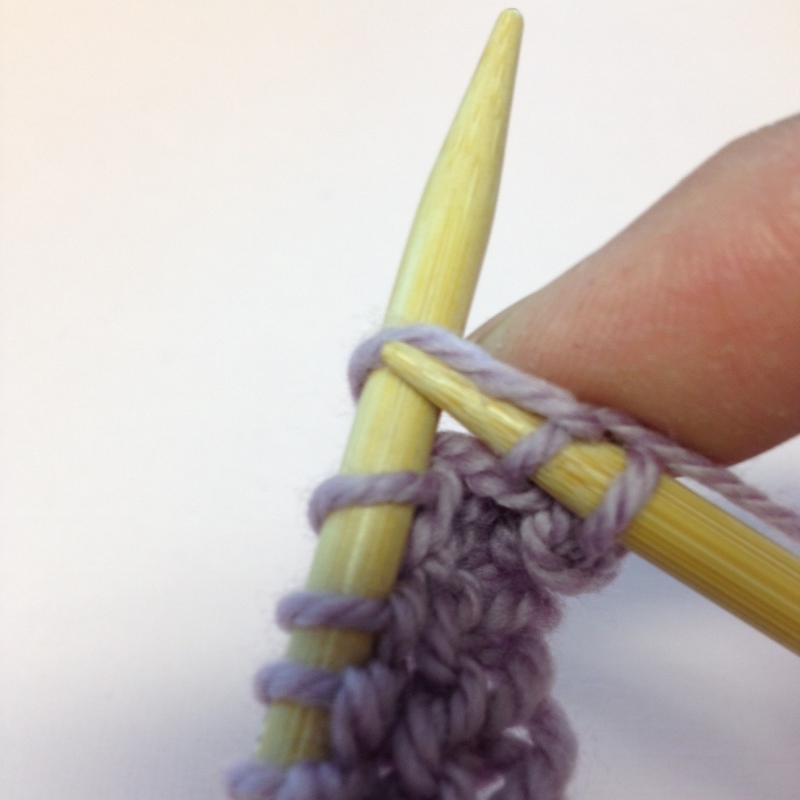 Step 3: Using the tip of your left hand needle, enter the loop on your right hand from right to left. 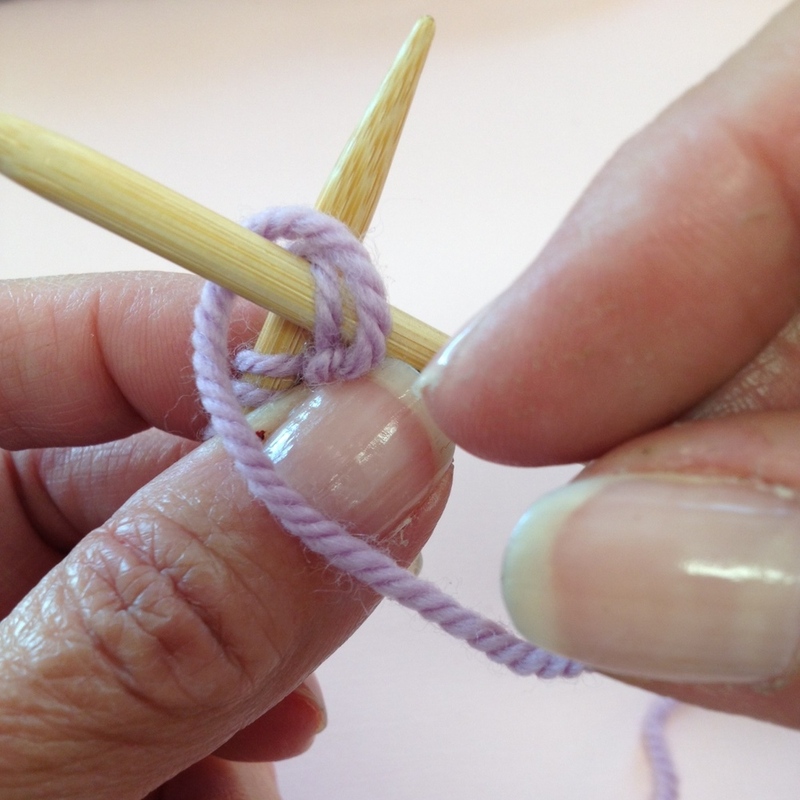 Step 4: Tighten the stitch by lightly pulling on the working yarn at the top. Step 5: Continue Steps 2 - 4 until all stitches are cast-on. Your completed cast on should look like this. 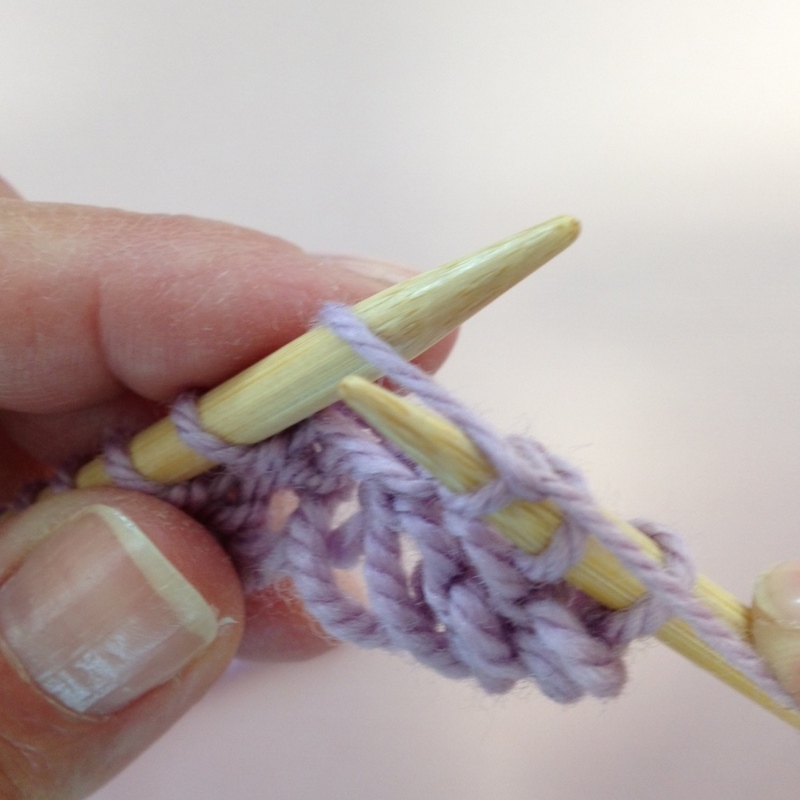 In this knitting tutorial, you'll learn the most basic stitch, the knit stitch. Now, let's get started! Some people like to learn new techniques by watching, others prefer to learn by reading. 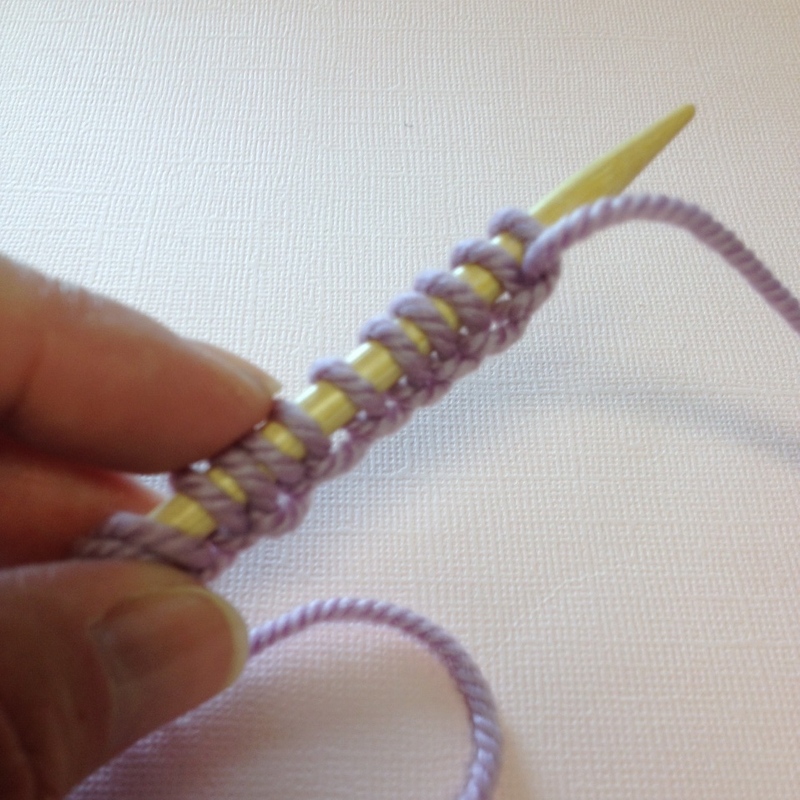 We have included a How to Do the Knit Stitch video as well as written out step-by-step tutorial. Let me know in the comments below which method works best for you! Step 1: Place the needle holding the cast-on stitches in your left hand, ensuring the yarn tail is at the bottom, and the working yarn (the yarn attached to the ball) is at the top near the needle tip. 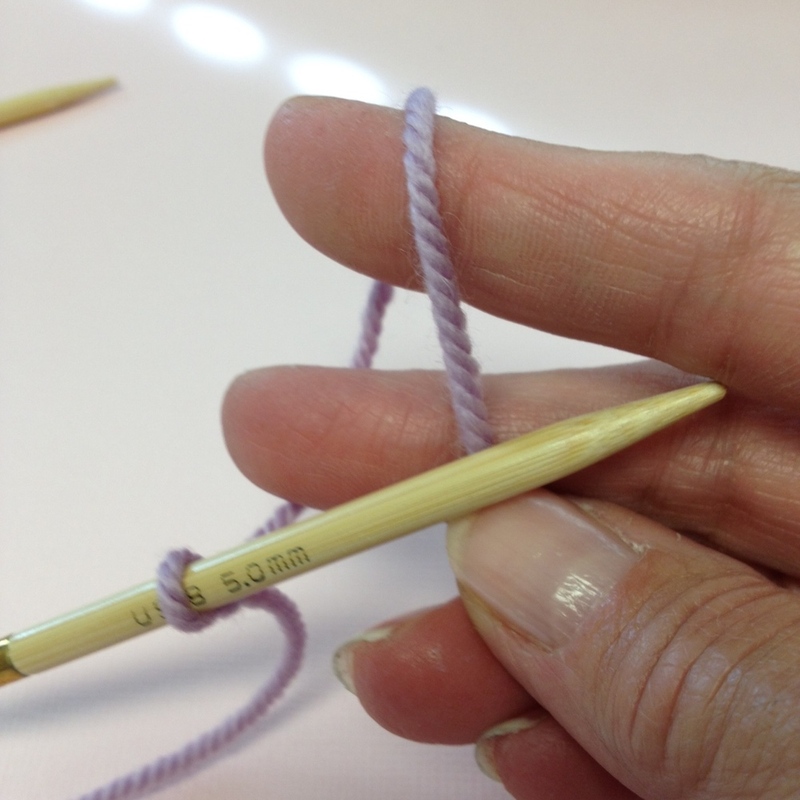 Step 2: Holding the second needle in your right hand, insert the tip of this needle into the stitch (or loop) closest to the tip of the left hand needle. 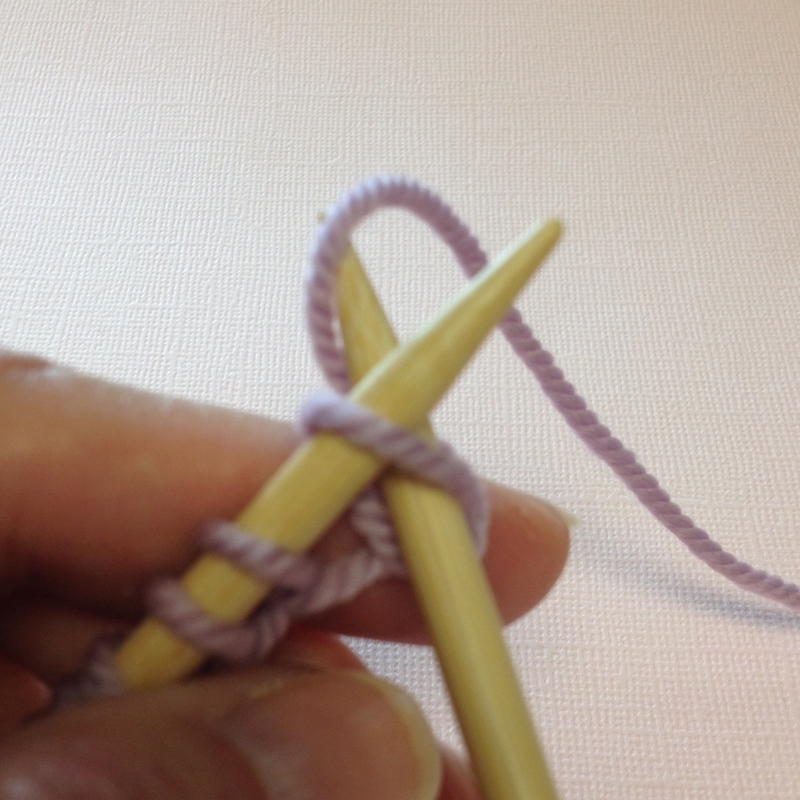 Looking at the image above, the needles form an X (left hand needle in front, right hand needle behind and working yarn in back). 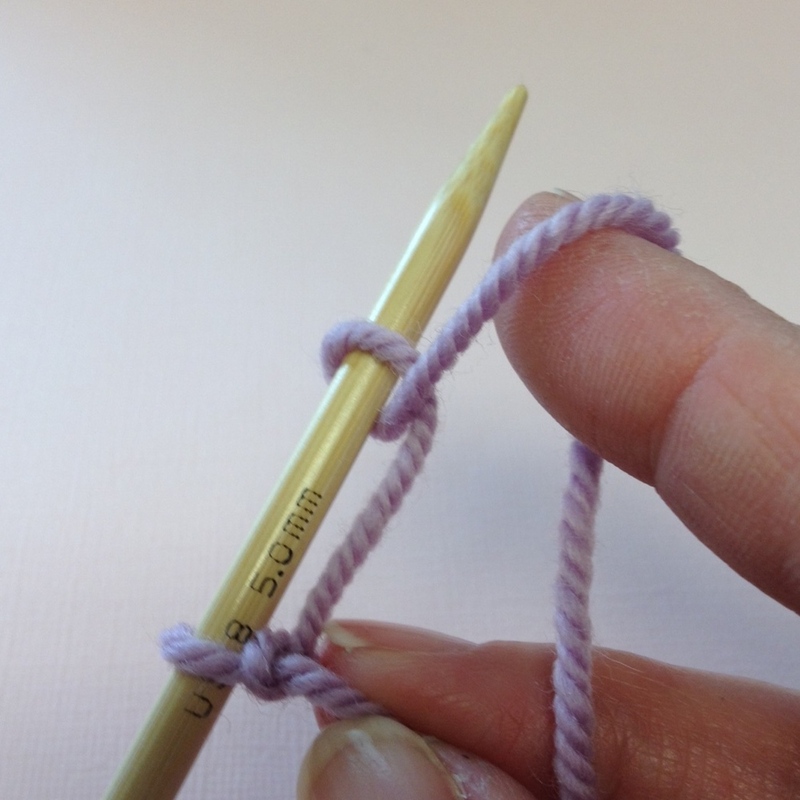 Step 3: With your right hand, move the working yarn from the back, forward between the needle tips (towards your body). Step 4: With the right hand needle tip swoop downward and catch the yarn that you just moved forward drawing it through the loop. Step 5: With right hand needle, slide the loop just made off the left hand needle. One knit stitch made. Repeat these steps across the row. 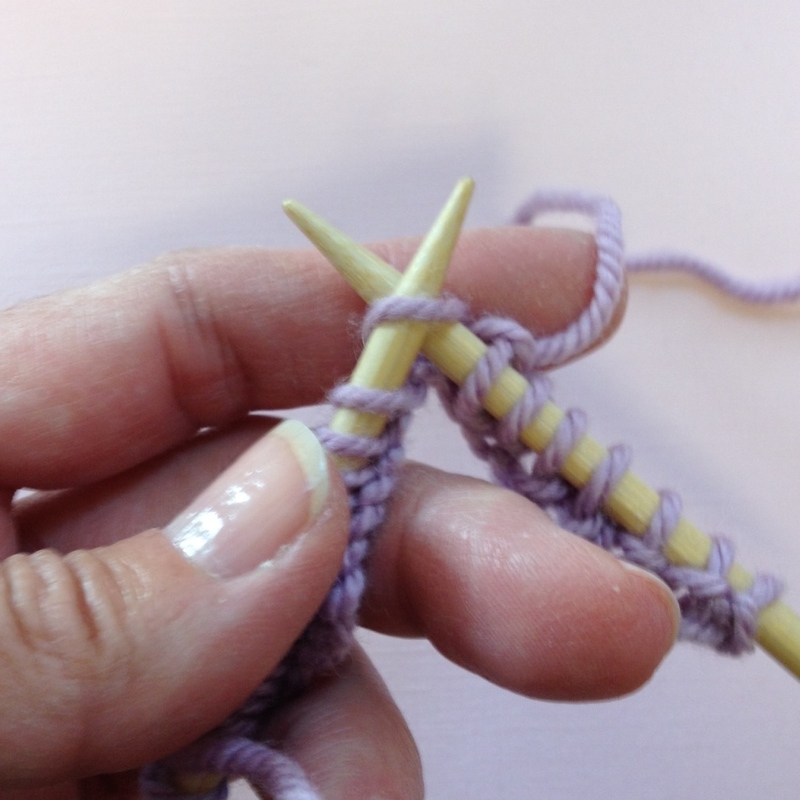 When you reach the end of the row, place the needle with the knitted stitches back in your left hand and continue knitting. When you knit every row, that is also known as the Garter Stitch. 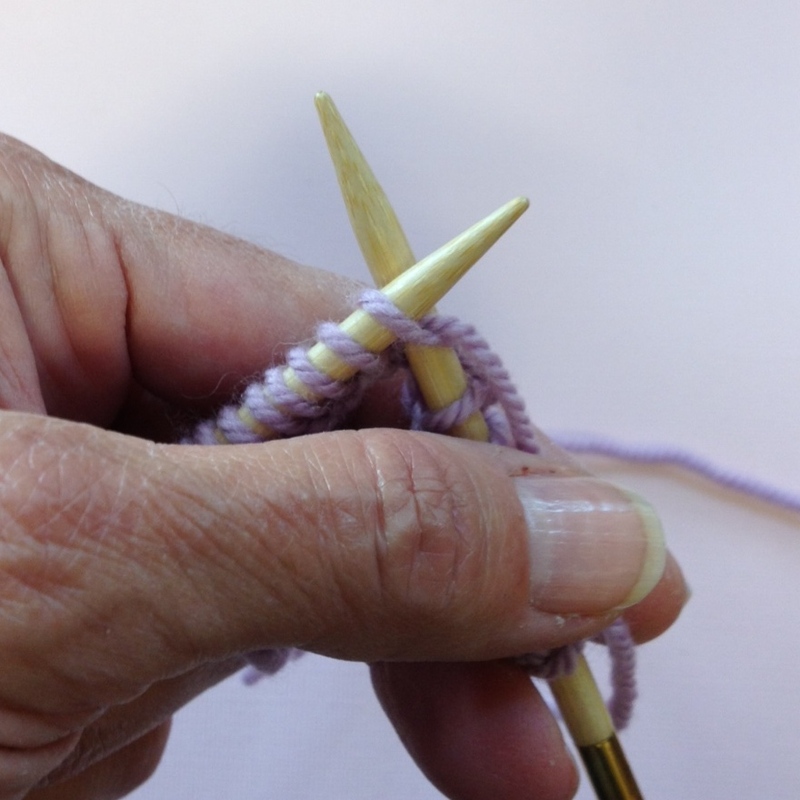 Purling is the second stitch learned in knitting. It's actually the reverse of the knit stitch. 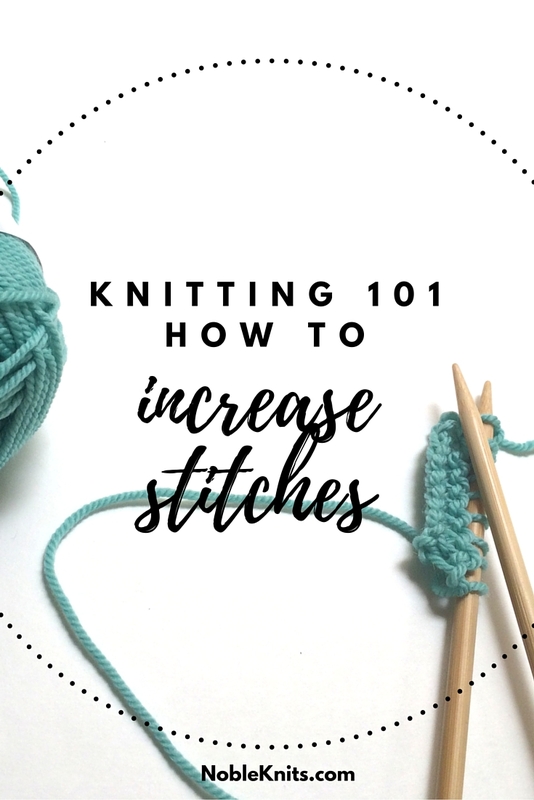 Once you learn the knit stitch and the purl stitch, you'll find that all other stitches are simply a combination or a variation of these two basic stitches. 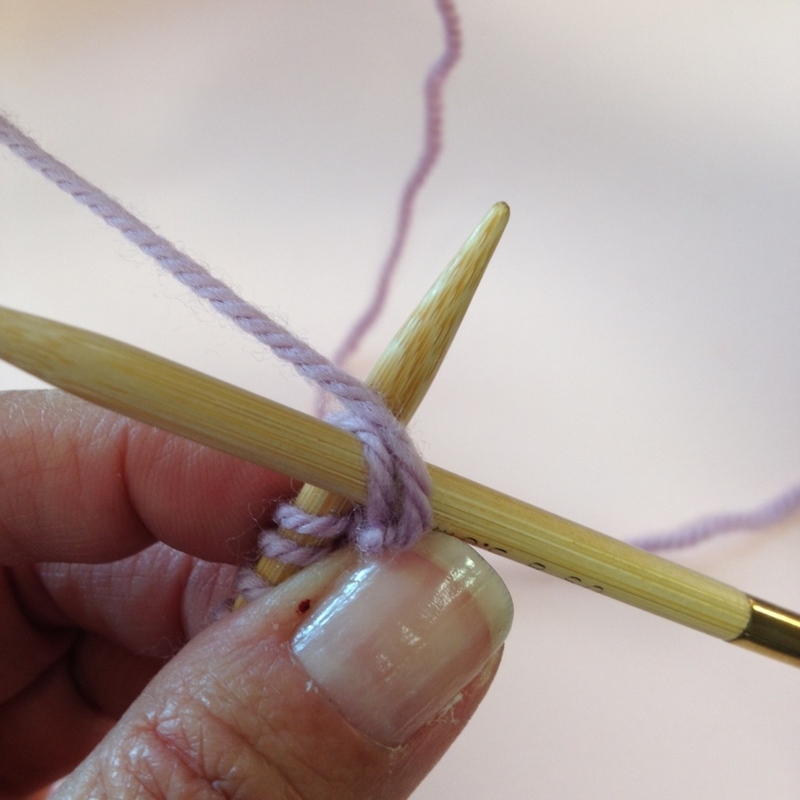 Here's how-to purl in just a few simple steps. 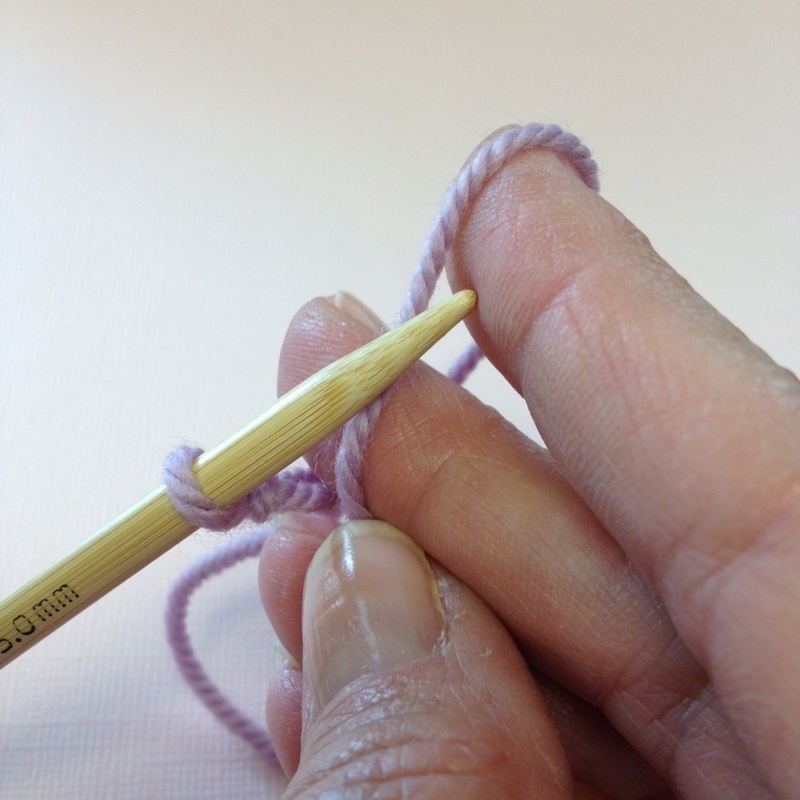 Step 2: Holding the second needle in your right hand, insert the tip of this needle into the stitch (or loop) closest to the tip of the left hand needle from top to bottom . Looking at the image above, the needles form a + (left hand needle behind, right hand needle in the front and angled slightly downward). The working yarn is being held forward and upward , so it's ready to wrap. Step 3: With your right hand, swing the working yarn to the left and bring it around the right hand needle, wrapping that needle counter-clockwise. The images above show how it's done. Step 4: With the right hand needle tip scoop upward and catch the yarn that you just wrapped, drawing it through the loop. Step 5: With right hand needle, slide the loop just made off the left hand needle. One purl stitch made. Repeat these steps across the row. When you alternate a knit row with a purl row you produce the stockinette stitch. Casting off or binding off is the term used to take a knitting project off the needles to finish it. Here's how it's done in a few simple steps. 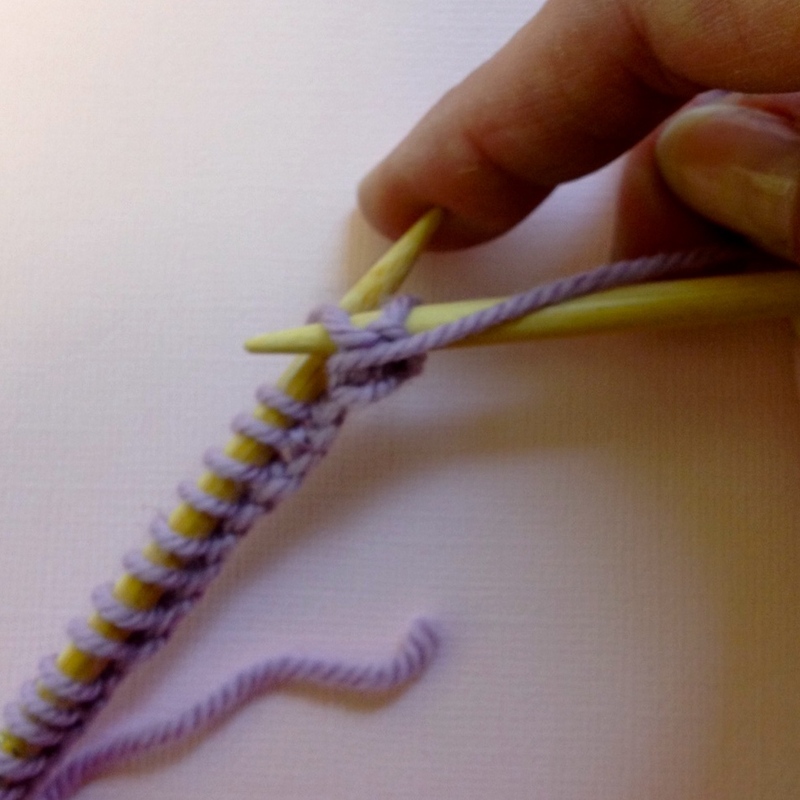 Step 1: With the working yarn in back, as shown in the image above, insert the tip of the right needle into the stitch to be increased from bottom to top. Step 2: Wrap the working yarn between the needles from back to front, scoop down to draw the working yarn through the loop, but DO NOT remove from the left hand needle. Step 3: Pivot the left hand needle slightly toward you in order to see the back of the stitch waiting on the left hand needle. 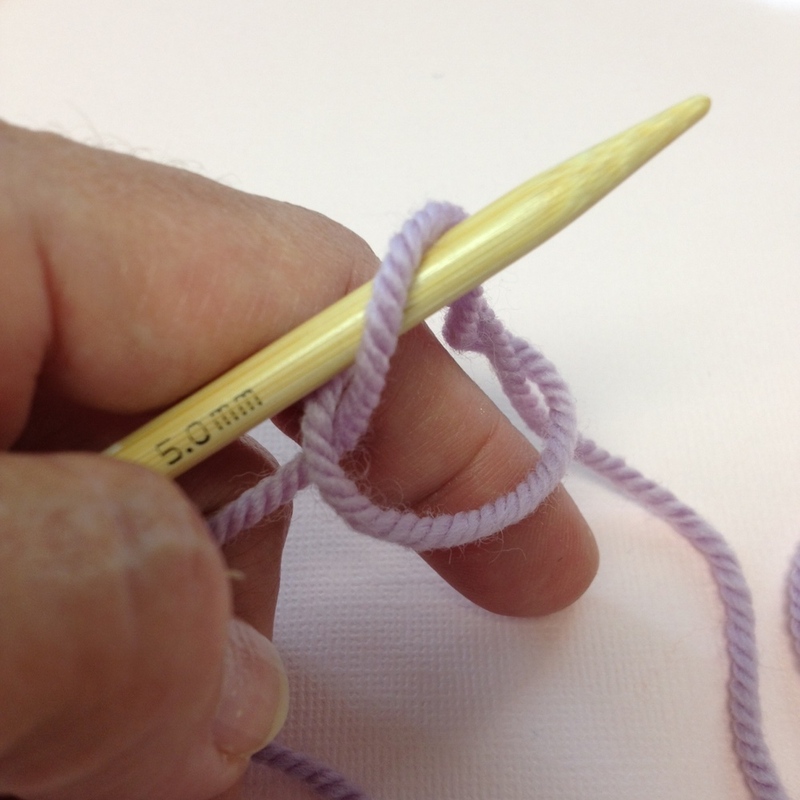 Insert the tip of the right hand needle into the back of this stitch from top to bottom. 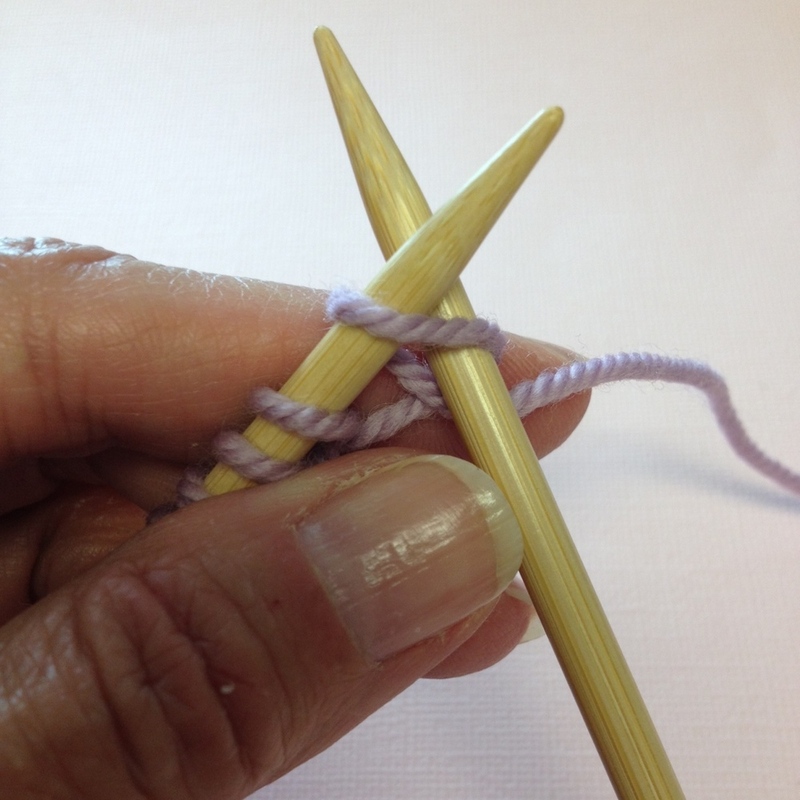 Step 4: Rotate the right hand needle back to its original position (the needles return to the original x shape) as seen in the image above, wrap the working yarn, draw through a loop and slide the stitch off of the left hand needle.